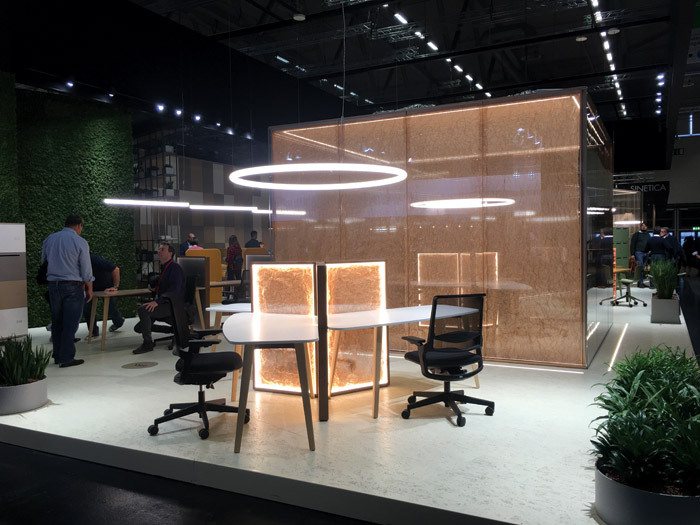 Orgatec remains the best show in Europe if you’re interested in working environments, and some 63,000 trade visitors were – an increase of 15 per cent from the last show in 2016. According to Katherina Hamma, then COO of organiser Koelnmesse, it has 'successfully transformed itself from being solely a product showcase to an issues focused business event… firmly embedding the sociopolitical importance of modern working worlds in decision makers’ thinking’. The central theme – ‘culture@work’ – was supported by a strong event and congress programme, which ‘addressed relevant issues emotionally and provided a whole sector with new sources of creative inspiration’. But we were there for the products – there were 753 exhibitors compared to 664 in 2016. Spanish maker Actiu seems to be hitting good form. 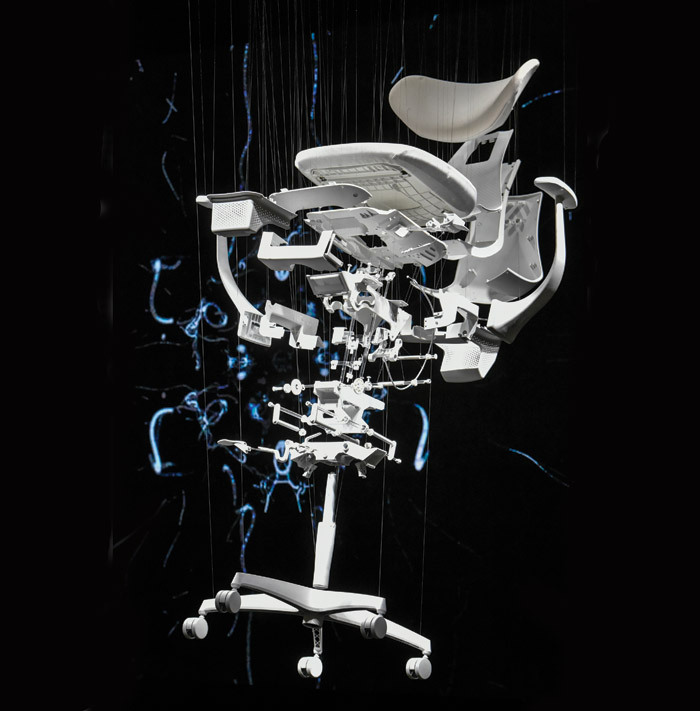 Recent introductions include the gorgeous Karbon, a carbon fibre chair and height-adjusting flip-top range, Talent. But this company really is thinking about the future; an integrated desk sensor measures light, noise, air quality, humidity and temperature, which is fed back to a user app for holistic workplace monitoring. It’s also working with chair sensors, so the user can be guided on how to improve posture. Alea dared to be different. 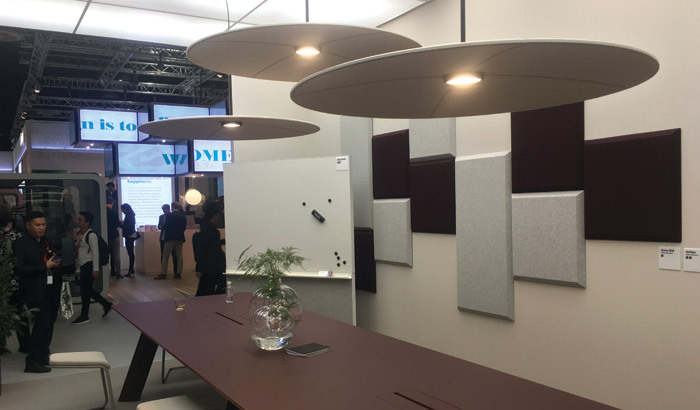 Its exhibit was a thing of beauty; rather than try to show a mass of products it featured a perfection of lovely finishes on the inside and outside of stunning double-glazed meeting pods. This points out that most of its output consists of special editions – a truly design-led approach. 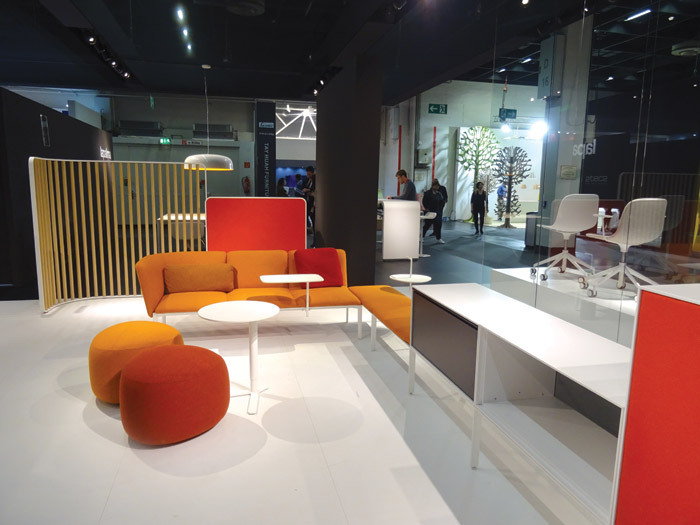 Lapalma too demonstrated a refinement of detail in everything it showed – we particularly liked the elegant solid oak ARCO chair and ADD SYSTEM desks, not forgetting the iconic LEM stool and luxurious deep ADD SOFT lounge seating. 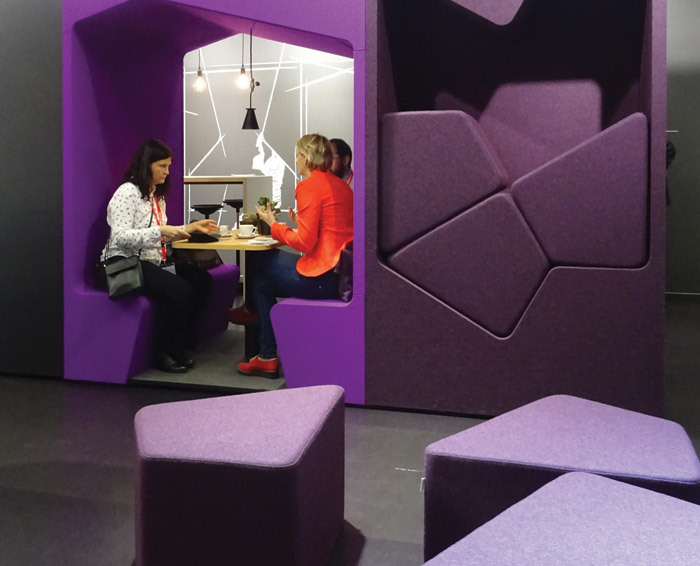 Interstuhl introduced Hub lounge seating – a welcome addition. 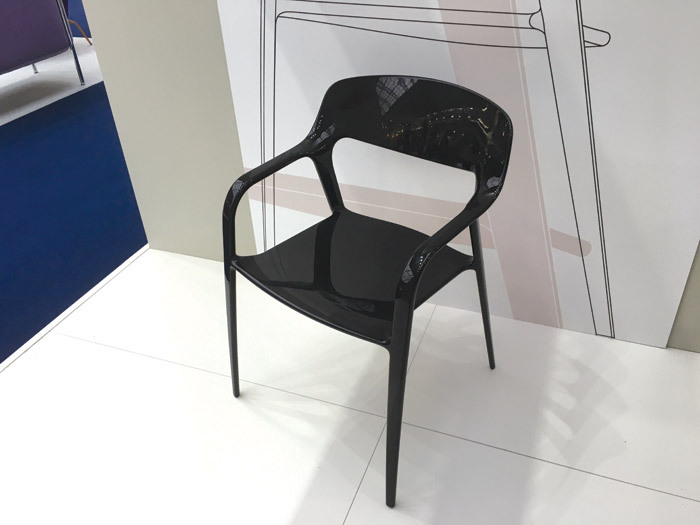 But its star was a pretty new task chair called Pure, which eschews complex mechanisms for flexible materials that create the perfect blend of flexibility and user support. Okamura introduced Finora – with a more traditional but highly intuitive mechanism and fine styling by Italian partner Guigiaro Design, which echoes that of its work in the automotive field. Abstracta has some really interesting ideas on acoustics. Why put acoustic tiles on the wall when the lighting and furniture itself can be given sound-absorbent qualities? It featured a large table using layers of cork in the substrate – which was demonstrably effective. Booths of all shapes and sizes were everywhere, but they can soak up space. Werner Works had some neat space-saving variations that can be placed along walls, integrated with storage, or used to divide open-plan spaces. Electronic sit-stand desks are a good thing, but most tend to look the same as each other. We saw some great alternatives from Assmann, Koplus, Markant and Unifor. 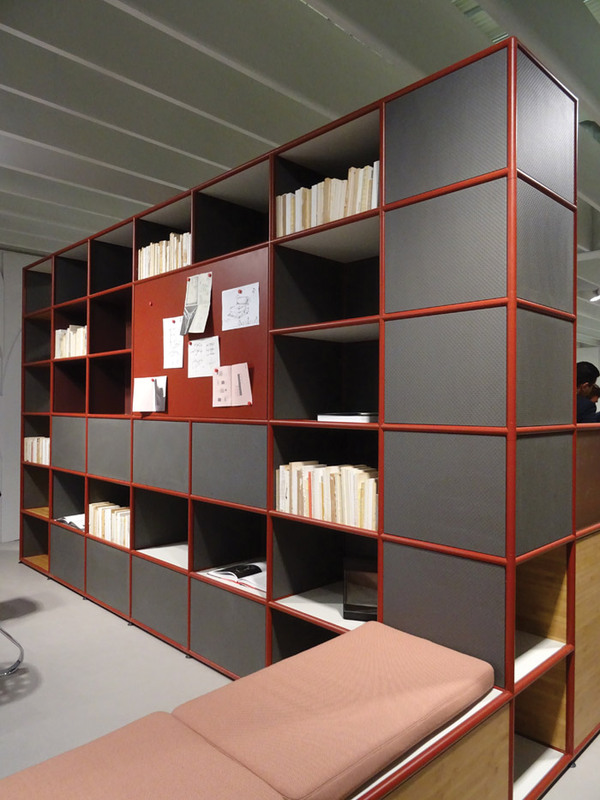 Many exhibitors introduced variants of a new wave of framed, semi-open roomdivider styles of storage. Hats off to Grid for being the ‘most copied’ – but there were interesting variants from Dieffebi, Profim, Tecno and Unifor. Masterbox was introduced by Inwerk – a clever steel-based storage/ divider/seating system that is built and easily reconfigured using magnetic sheets. 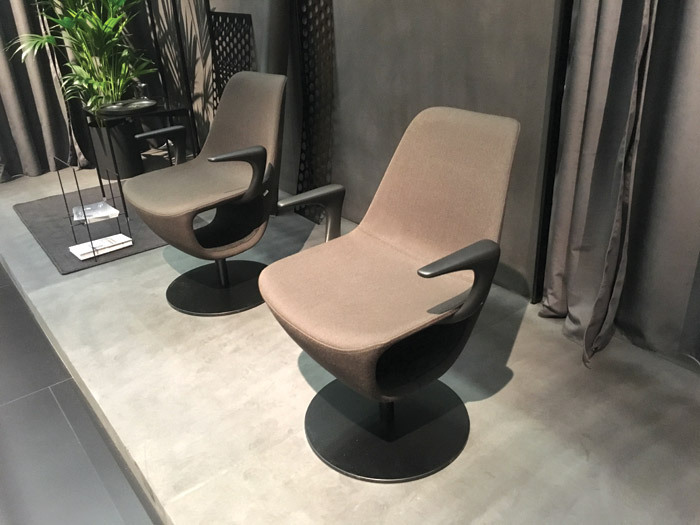 By day three I thought I would scream if I saw another lounge chair, but I was very impressed by the quality, detailing and range of Polish manufacturer Profim and Croatian maker Prostoria, both of which had put a lot of thought into their seating exhibits, and promised good value for money. There is an old adage that it’s better to be different than good; better still to be different and good. 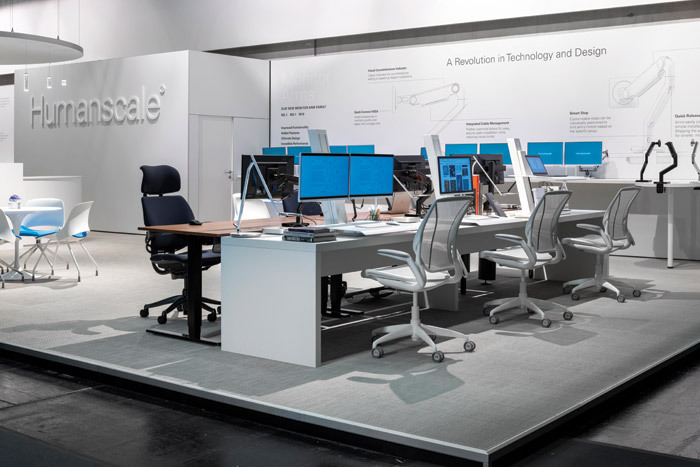 Humanscale presented its latest workplace innovations and solutions at Orgatec 2018. With a focus on technology, Humanscale unveiled its new line of monitor arms, M2.1, M8.1 and M10 along with the Monitor Arm Building Area, where visitors were able to build their own monitor arm and experience the new functionalities and improvements in the range. In this category a mention for Dobergo’s underlit height-adjusting meeting table and Estel’s fun Baobab concept. I hope that this necessarily brief report provides some useful insights. 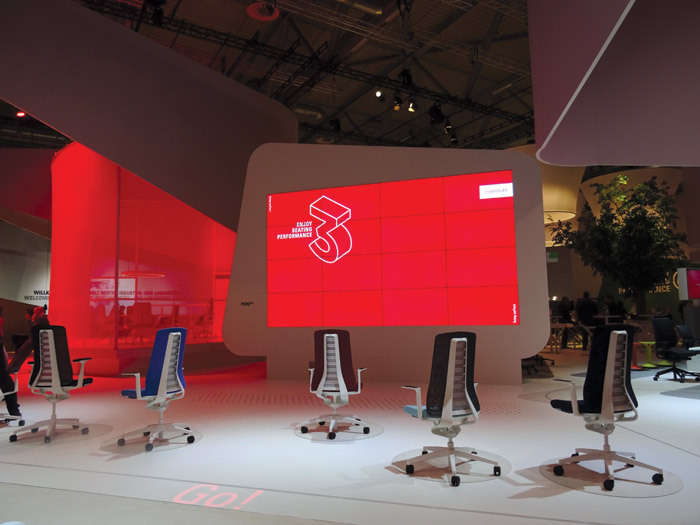 We’ll be publishing a full Orgatec 2018 report for our customers and industry friends. Please call or email me if you would like a copy.